In response to the WordPress Weekly Photo Challenge: Trio. Thousands of stunning Swarovski crystal snowflakes decorate a 15m Christmas Tree at the centre of Zurich Hauptbahnhof Christmas market. I didn’t have great hopes for these photos. They were taken through a glass screen which protects the tree, and its valuable ornaments, from the crowds of shoppers milling around, drinking glühwein, snacking on international delicacies, while snapping photos on their phones. But when I saw the display of sparkling rainbows in the snowflakes as they gently sway in the wintery air, I couldn’t resist posting them. A glittering winter wonderland, just beautiful! 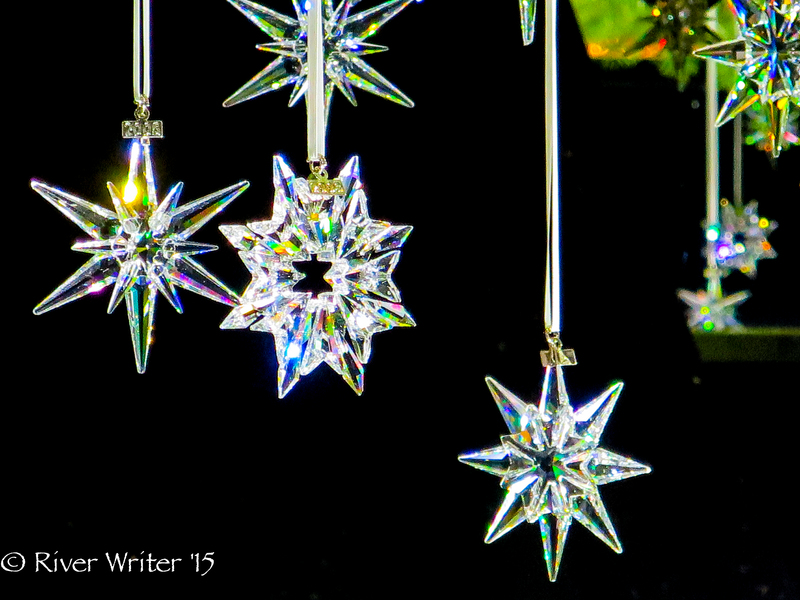 Posted in Photography, Switzerland, Weekly Photo Challenge, ZurichTagged crystal snowflakes, fantastic photos, photography, rainbows, snowflakes, Wordpress Weekly Photo ChallengeBookmark the permalink.